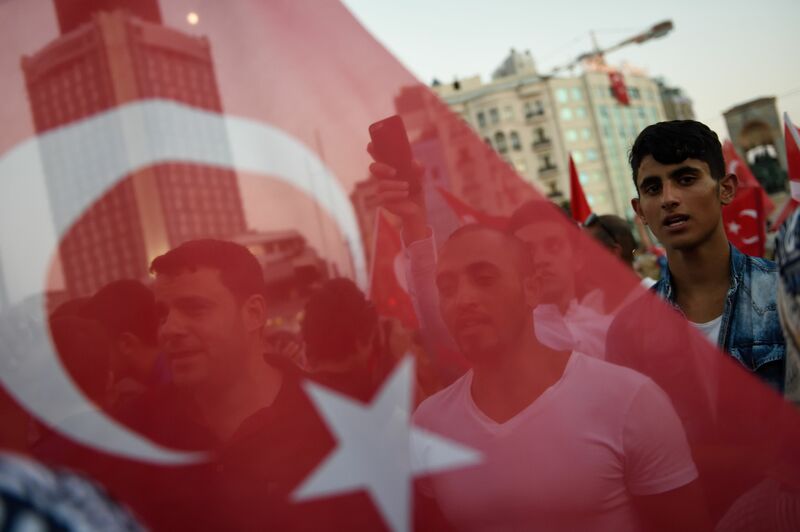 On Friday, the nation of Turkey (specifically, its capital city of Istanbul) was thrown into chaos, as members of the Turkish military attempted a coup against the government of President Recep Tayyip Erdogan. It ultimately failed, as Erdogan called for Turkish citizenry to take to the streets in his support, and despite his incredibly repressive record, they did. It was a striking rebuke to the notion of a military overthrow, but now Erdogan is on the hunt for a culprit. So, who is Fetullah Gulen, the man Erdogan wants extradited to Turkey from his home in the United States? Since the coup was thwarted, there's been a lot of ink spilled on what's next for Turkey, and the possibility that the Erdogan government will become even more oppressive and belligerent following the attempted overthrow. And on Saturday, after a hugely tumultuous 24 hours, Erdogan made his first major move ― he called for the United States to extradite Fetullah Gulen, a 75-year-old Muslim cleric who's been living in Saylorsburg, Pennsyvlania, according to CNN, since his self-exile from Turkey in 1999. Erdogan is accusing Gulen of being involved in orchestrating the coup attempt against him. Gulen is the head of an international movement known as Hizmet (also known, appropriately, as the Gulen movement), which has constructed many schools and health centers around the world, including within Turkey, and has recently run afoul of the Erdogan government. There have been competing allegations about Gulen's movement in recent years. It's largely viewed as a benign force for learning and pacifism by many of its supporters, advancing a form of Islam far less strident, more moderate, and more secular in its educational style than many alternatives in the areas where it operates. But it's also been a huge target of the Erdogan government. In 2013, when an anti-corruption sting raised allegations against Erdogan's son, among others, the Turkish PM blamed the revelations on the Gulen movement, with some Turkish officials characterizing it as "treason" ― remember, this is not a very open or transparent government, nor one with much respect for human rights. In short, Erdogan has been a fierce enemy of Gulen and his adherents. As it stands now, the Gulen movement is officially classified as a terrorist organization within Turkey, although that characterization is controversial, and the United States does not regard it as such. As for Gulen himself, he's denied any involvement in the coup attempt, and has condemned it. Needless to say, this is a highly charged situation, and it's hard to discern both what's going to happen next, and whether all sides are operating in good faith. On the one hand, the coup attempt could be seen as validating some of Erdogan's claims of schemes against him. But on the other hand, the fact that he's been publicly warring with Gulen and his followers for so long raises the distinctly possibility that they're being scapegoated. As Reuters detailed, Gulen himself has suggested that the coup have been staged by Erdogan himself, as a means to consolidate power and help purge his organization from Turkey. At this point, it's hard to draw any firm, safe conclusions. As far as extradition goes, however, the U.S. will require more information before making any moves. According to Secretary of State John Kerry, no official request has been made yet, and there'd have to be evidence of Gulen's involvement before any such decision would be made.